With so many terrible tryhard 2D indie platformers on Xbox One it is useful sometimes to take a trip back to the past and visit the games they’re so desperately trying (and failing) to emulate. 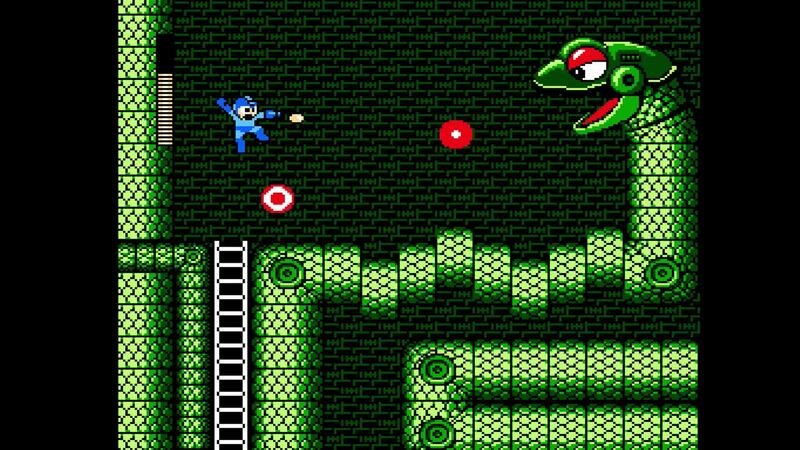 We can’t play Super Mario Bros. on Xbox One, unfortunately, but we can play another slice of 80’s 2D platforming heaven in the Mega Man series with the Mega Man Legacy Collection. Mega Man Legacy Collection features the six classic Mega Man games released for NES just like you remember them, but with some modern features like save states and practice modes to make them even better. This is 2D platforming at its absolute best. See our full Mega Man Legacy review for details. 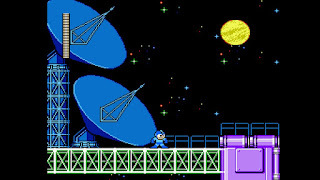 The Mega Man Legacy Collection includes the six original NES Mega Man games perfectly emulated to match their original gameplay and performance. Any glitches and exploits you may remember, as well as framerate issues, are present and accounted for here. Your old passwords also still work, of course, as well. The games are presented in 1080p and the edges of the 8-bit pixels are sharp enough you could cut yourself on them. There are also graphical filter options to smooth things out and add scanlines if you want a truly retro experience. It is somewhat disappointing that this only includes the first 6 Mega Man games even though the PS2 / Xbox Mega Man Anniversary Collection included more titles. I’m sure most folks would have been fine with paying an extra $5 for Mega Mans 7-10, but this is an NES collection so it’s fine. I guess. One advantage the Mega Man Legacy Collection has over previous collections, however, is the addition of modern features like save states, challenge modes, and practice modes along with a museum of artwork for each game and you can listen to any song in any game via the menus. The save states and practice modes in particular are fantastic additions to the experience because they make these extremely difficult games ever so slightly easier. Setting a save state right before a tough section of a level (or a boss fight) will save you a ton of frustration later on. Likewise, being able to practice boss fights and learn their patterns make these encounters much more enjoyable than having to replay through a level over and over to get back to a boss when you die repeatedly. And you will die repeatedly because Mega Man games are some of the most notoriously difficult games around. Being able to use save states and stuff isn’t an authentic experience, but boy do they make the games more enjoyable. Not that the games aren’t already great – they are considered classics for a reason and have held up extremely well, particularly compared to modern indie 2D platformers – but getting a little (totally optional) assistance to help players actually get through the games can only be considered a good thing. The only missing assist feature I’d like to see here is a rewind function like in Rare Replay. My only real complaint with Mega Man Legacy Collection is that the menus are pretty barren and bland. The presentation in the games themselves is totally fine, but the menus could be better. Compared to Rare Replay, which had a lot of love and attention given even to the menus, Mega Man Legacy Collection is sorta lame. All in all, though, you really can’t beat what Mega Man Legacy Collection offers for its extremely reasonable $15 price point. Six great games just like they were when then originally released, modern quality of life features, a museum mode full of music and artwork, and a whole lot of nostalgia are well worth the asking price. Buy it.